Who Are You? is a thrilling, spine-tingling at times, sci-fi melodrama, with a profoundly emotional conclusion, that was one of the more compelling Korean dramas of the 2013 season. Like Master's Sun a bit in its structure, with an underlying supernatural theme of a woman waking up from a long coma who is able to see ghosts, yet instead of a chaebol (business mogul) being at the heart of the show, like in Master's Sun, this time it's police detectives and cops who are the main characters. The acting was sensational among all leads and secondary cast. It was hard for me to decide which of the two male leads was more gorgeous than the other! I felt like plucking the petals off a daisy one by one. "I'll take Taec! I'll take Jae-wook! I'll take Taec! I'll take Jae-wook!" What was extra special to see in this drama, in particular, is that all three main leads I had seen before in secondary parts in other dramas, but here in Who Are You? each is given a chance to shine as a lead character. I have seen this trend for a long time in Korean dramas: how the producers "groom" secondary actors to slowly become lead actors. It's nice to see that they invest in their actors' career growth in this manner. It's one of the reasons you'll see the same actor faces appear in drama after drama! Female detective Shi-ohn Yang (fine actress Yi-hyun So from Heartstrings and I Hear Your Voice) wakes up from a six year long coma she had suffered through after being attacked and almost killed on a police case. To her fear and amazement she wakes up with the ability to see ghosts, a situation which she tries to hide from those around her. Since it is assumed by her superiors at her old workplace that she will need time to recover while back on the job, she is placed in the (presumably!) low-stress police department section of the "Lost and Found", in charge of objects that victims of crimes had left behind or which had been important to their cases. When she handles these objects the victims' ghosts who had once owned them come back and hover around her, anxious for their unsolved cases to receive justice. They try and guide her into uncovering the criminals who had hurt them in life or killed them.  However, they cannot communicate to her in words, so she has to use her new spiritual discernment to try and understand them through other means. Because of these new-found abilities, she is successful at solving cold cases, which impresses her superiors, for instance, knowing where a victim's body is buried (because the victim's ghost points it out to her!) when police had never discovered it before. It's practically impossible to get a murder conviction against a criminal without a corpse or a body part as evidence, so now these old cases can finally be solved. 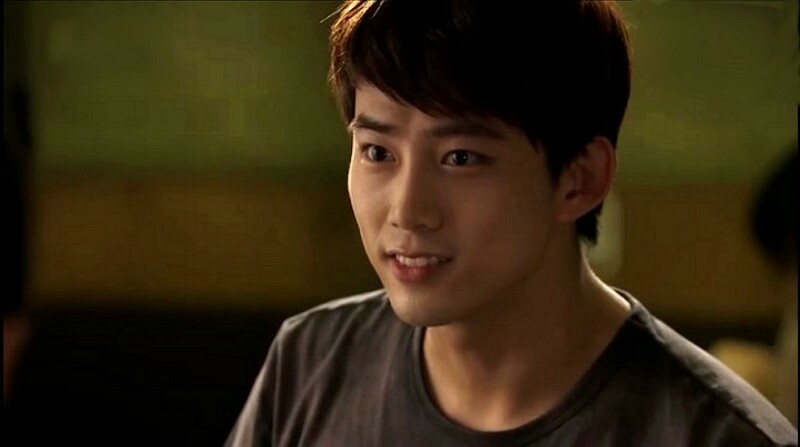 A rookie male detective, Gun-woo Cha (handsome Taecyeon Ok from Dream High) is assigned under her supervision. He and the other workers in the office become more and more amazed at Shi-ohn's rare ability to solve practically impossible old cases. As each case is solved Gun-woo is more and more impressed with his female boss, and the two detectives begin to draw close to one another, and eventually their growing friendship becomes a romantic attraction as well. At first a skeptic about his partner's supernatural abilities, he gradually begins to believe her secret after she reveals it to him, and together they help the ghosts complete their unfinished business so they can pass on to the Afterlife. The most compelling ghost who watches over Shi-ohn is her dead boyfriend, Hyung-joon Lee (dreamy Jae-wook Kim from Bad Guy); he had died the same night Shi-ohn was attacked six years earlier, trying to solve the same smuggling case. However, Shi-ohn has no memories at first of that terrible night. When she starts to see Hyung-joon's ghost her lost memories begin to come back to her. An object he had planned on giving her the night of his death plays an important part in the story; it had sat unnoticed for six years in the "Lost and Found". Then Shi-ohn finds it .... What will happen to her developing relationship with the living detective Gun-woo, when her feelings are overflowing about her past relationship with her dead boyfriend, detective Hyung-joon? She can see his ghost but she cannot touch him or speak with him, since he is silent. The way they gaze at each other is so beautiful, it makes your heart ache for them. I just love this actor, Chang-wan Kim, he's so terrific in everything I see him in! Especially love his warm voice. A friendly senior cop / detective named Moon-shik Choi (wonderful veteran actor Chang-wan Kim of the beautiful film Postman To Heaven and My Love From Another Star) tries to be of assistance to the rookie cop Gun-woo, and becomes a father figure and mentor to him (just as this actor's character was to Soo Hyun Kim's character in My Love From Another Star). They often get together socially and Shi-ohn is sometimes invited along. She remembers that Moon-shik had also been close to Hyung-joon, and she is fond of him as well. 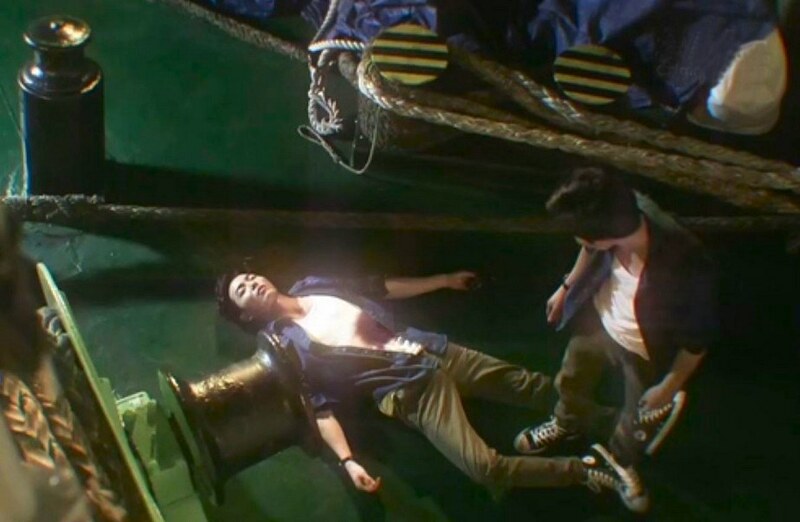 The ghost of Hyung-Joon stares down at his murdered body in Who Are You? The ghost of Hyung-joon desires to show Shi-ohn who his murderer was, but the truth of the crime will ultimately shake the entire police department to its core, because it has to do with a dirty cop and his connections to mobsters and smugglers. As Shi-ohn begins uncovering the corruption in her own police department, which goes up to the highest levels, her life is put in danger. 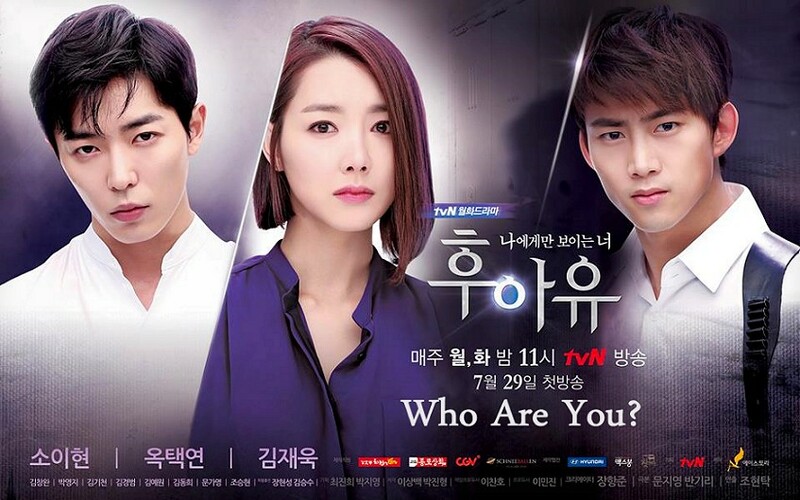 Hyung-joon and Gun-woo desperately try to protect her in their own ways, and Hyung-joon as a ghost even appears before a professional psychic named Hee-bin Jang (fantastic, gorgeous actress Ye-won Kim from Flower Boy Ramen Shop and Operation Proposal) in an effort to seek her intervention. For some unknown reason Hyung-joon can communicate with her in spoken words, whereas he cannot with Shi-ohn. Hee-bin becomes a contact point between Hyung-joon and Shi-ohn, sort of like Whoopi Goldberg's medium was in the American film Ghost. this show to begin with, when I saw her name in the cast list. Meanwhile, Gun-woo has discovered some remarkable information about Hyung-joon that he is afraid to reveal to Shi-ohn, for fear of losing her, but his basic decency comes to the forefront and it is all revealed by the end of the ultra-dramatic episode fourteen (for some reason many K-dramas save a lot of their best scenes for episode fourteen in these series, although here the situation is resolved in episode fifteen out of sixteen, as the melodrama continues so thick and heavy you can cut it with a knife!). Life is for the living, but what if the ghost of your dead lover seems more real to you than your reality? What if you discover he loved you so deeply that he stayed with you for six long years while you were in a coma, waiting for you to wake up? Will flesh and blood triumph over spirit and soul? Who would you choose if you were in Shi-ohn's position? Be sure and watch Who Are You? and decide for yourself! It's a great show, perfect for romantics.